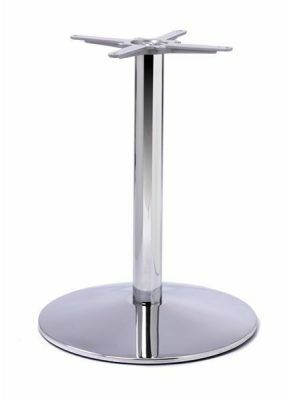 Large Chrome table base with a circular cast iron base and Chrome cover. 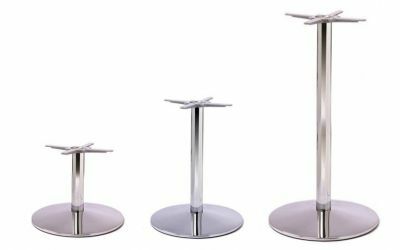 Works with table tops up to a maximum size of 900mm square or 1050mm circular. Available from stock. Chrome café table base with cast iron foot and chrome cover for extra stability. 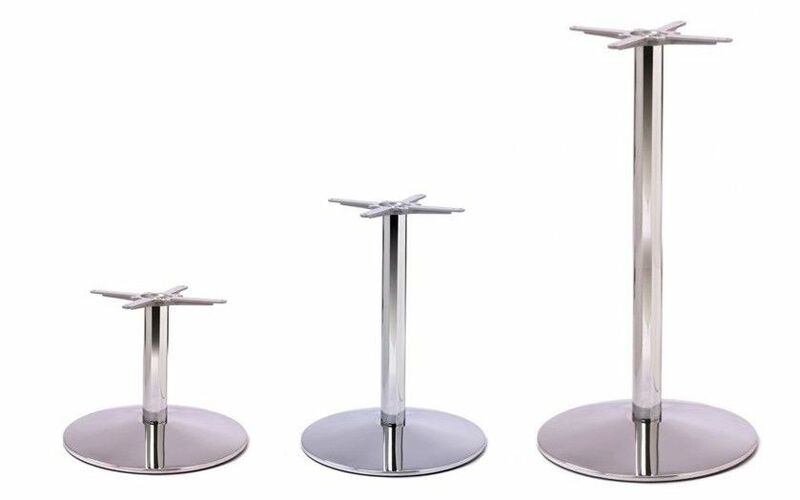 This range of furniture is manufactured to a very high commercial standard and will last years in a busy commercial venue.